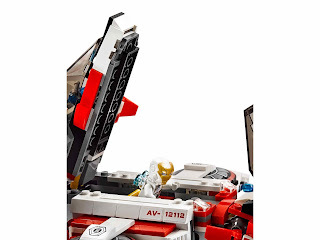 come with a 2 in 1 avenjet. 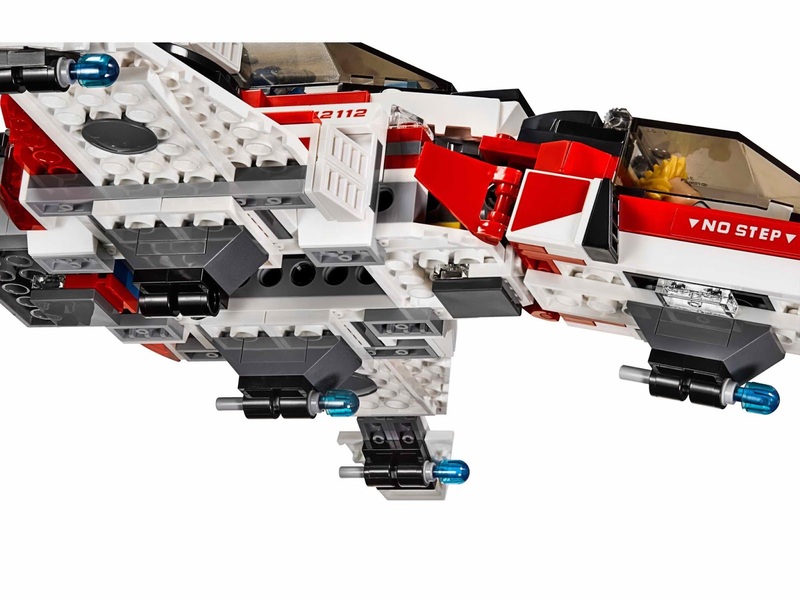 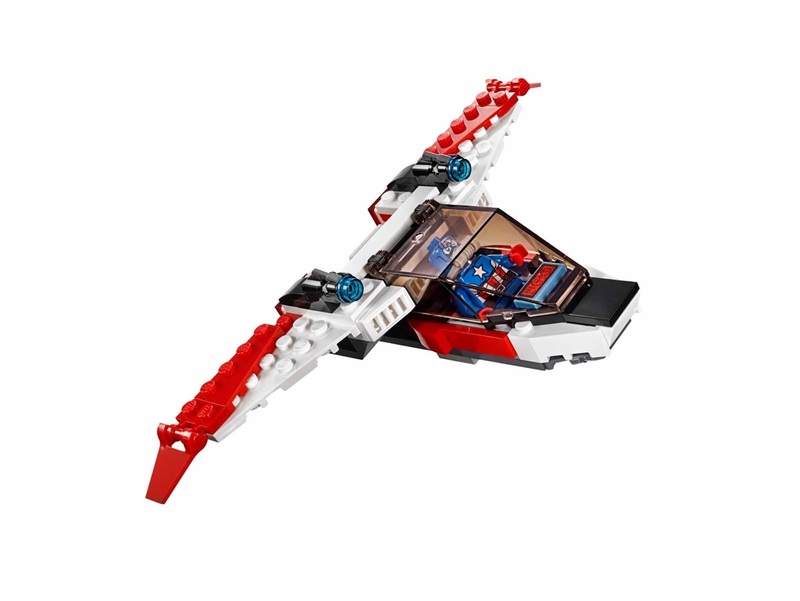 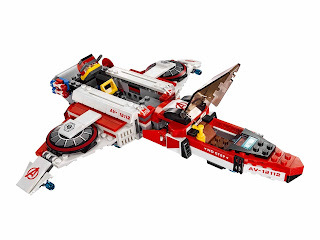 the avenjet has an openable main cockpit, 4 flick missiles, an openable hatch and a detachable mini jet with an openable cockpit and 2 stud shooters. 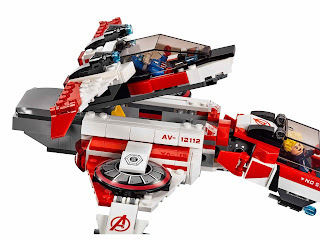 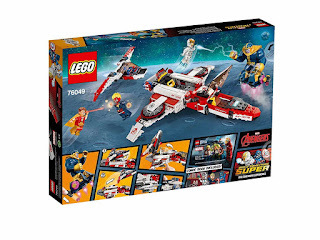 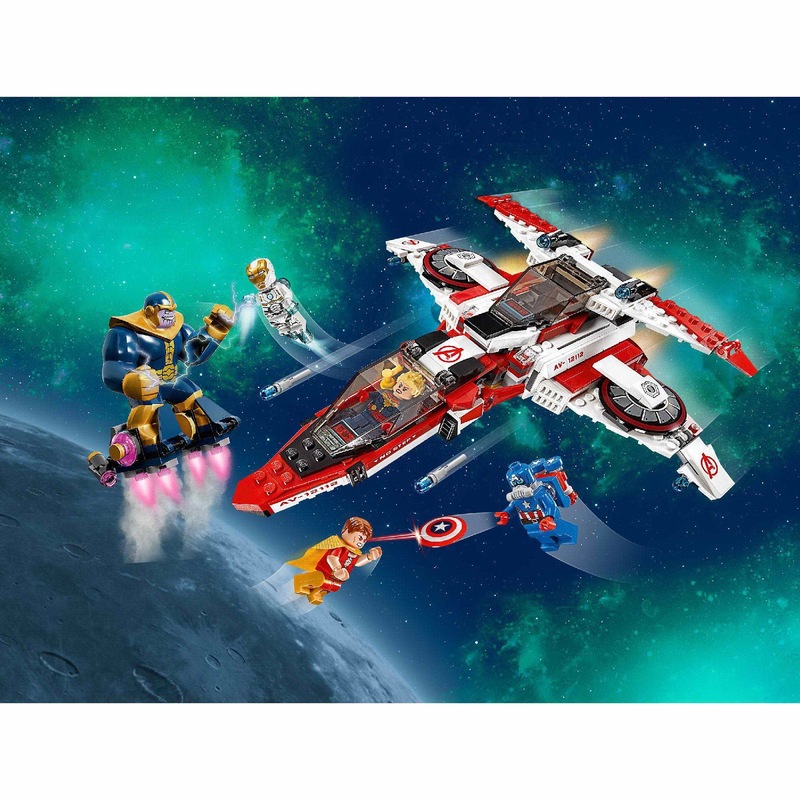 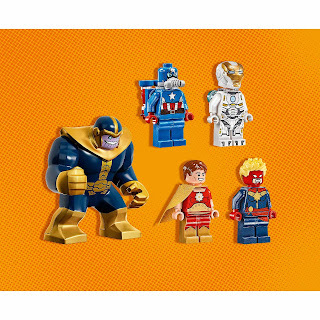 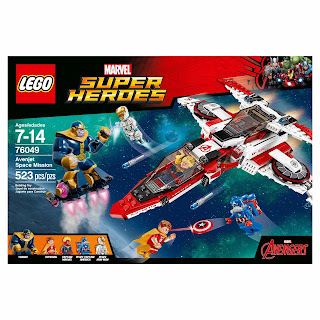 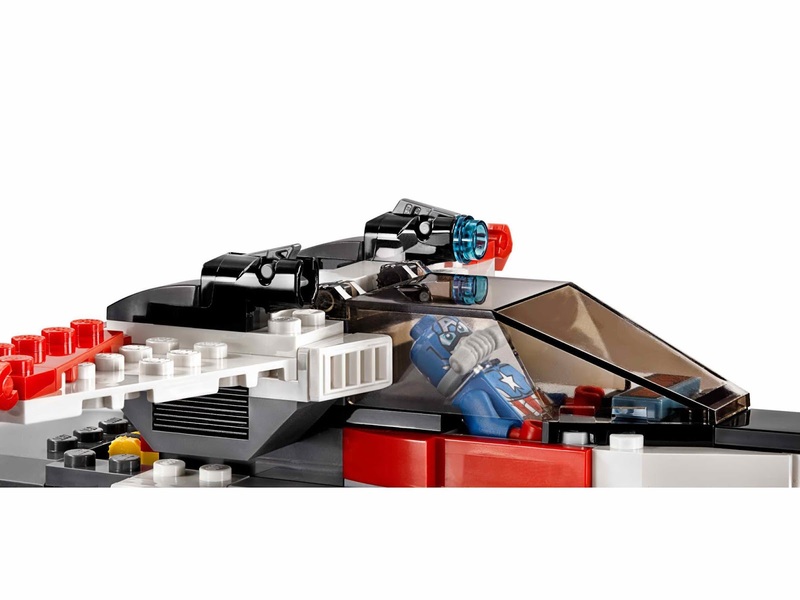 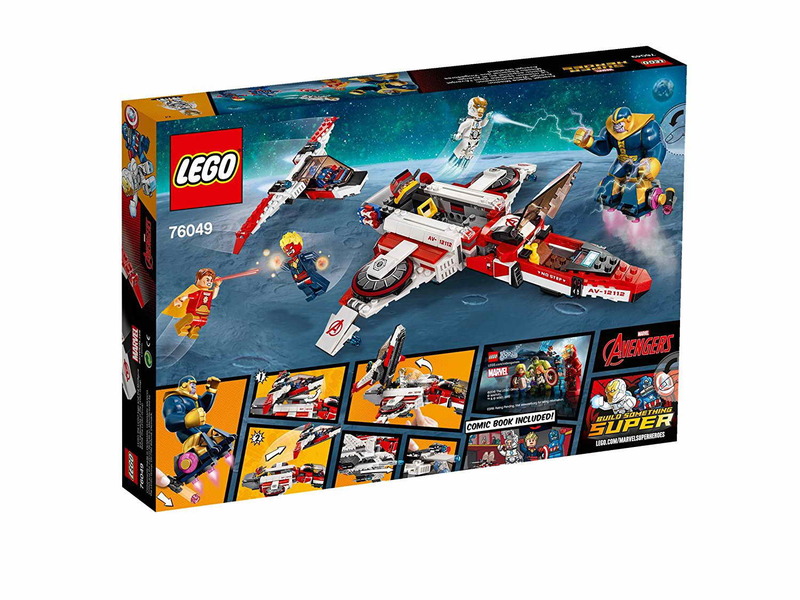 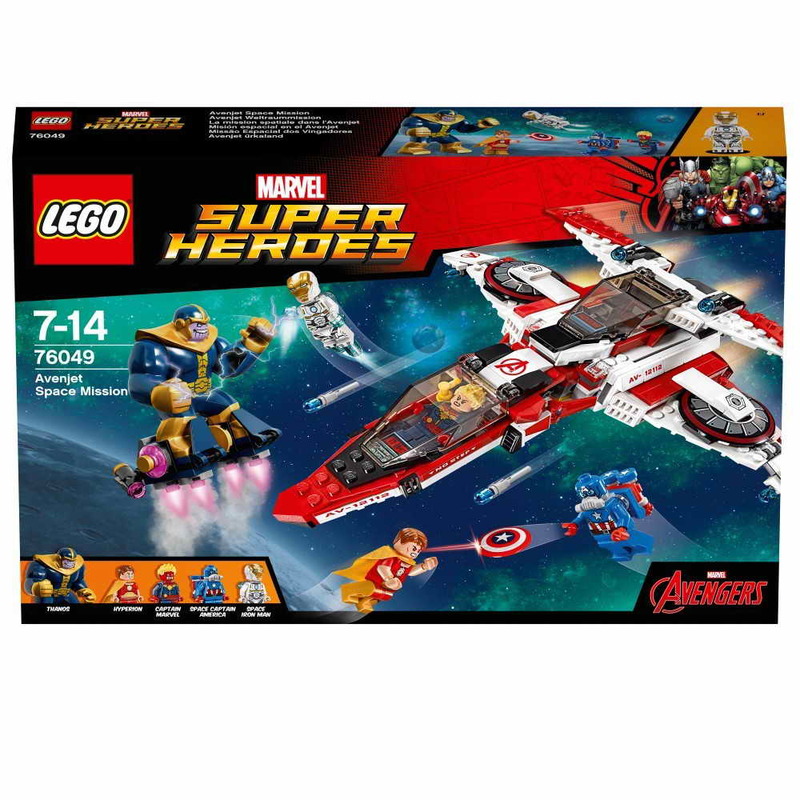 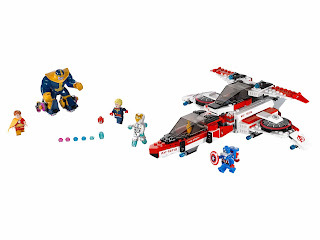 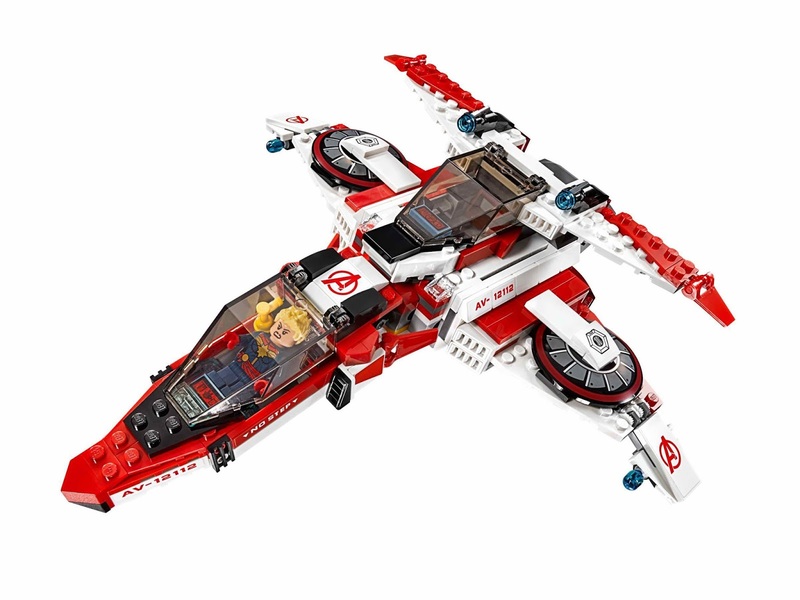 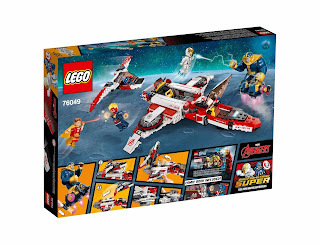 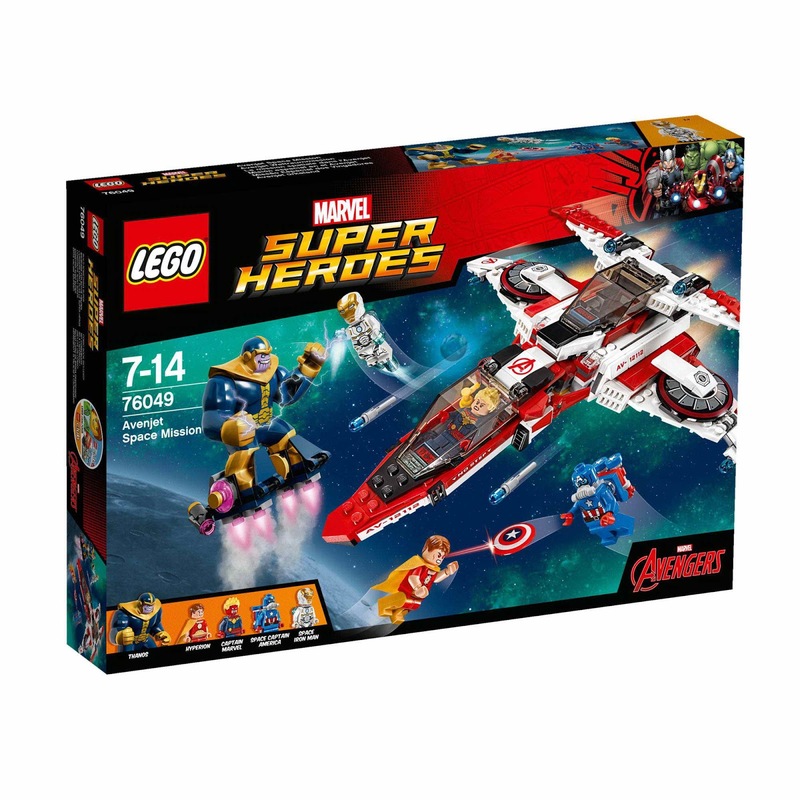 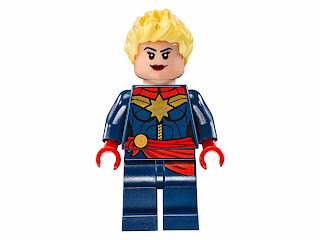 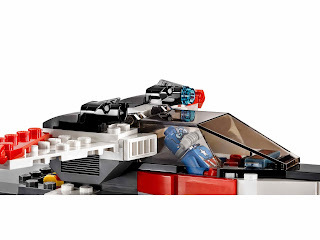 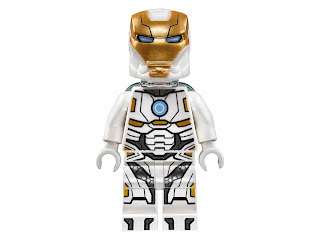 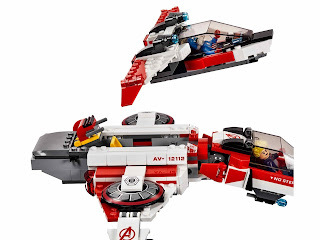 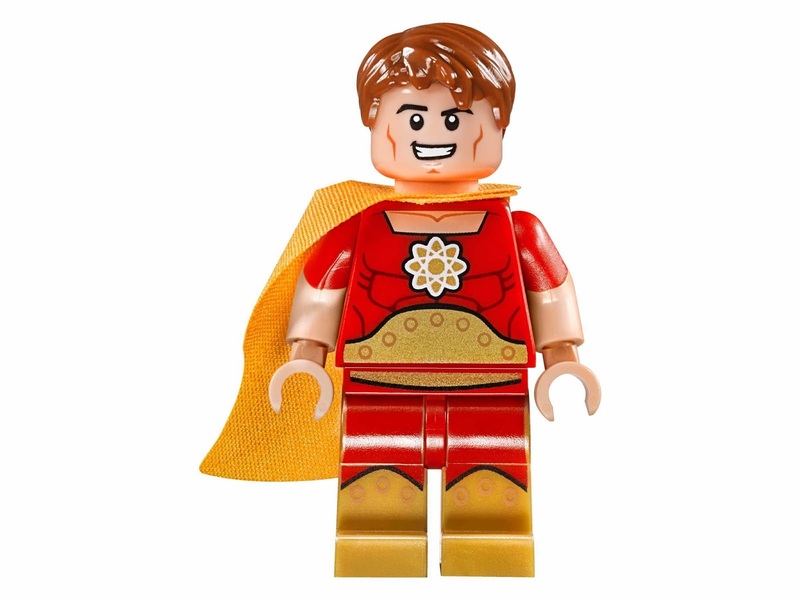 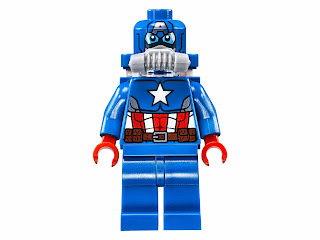 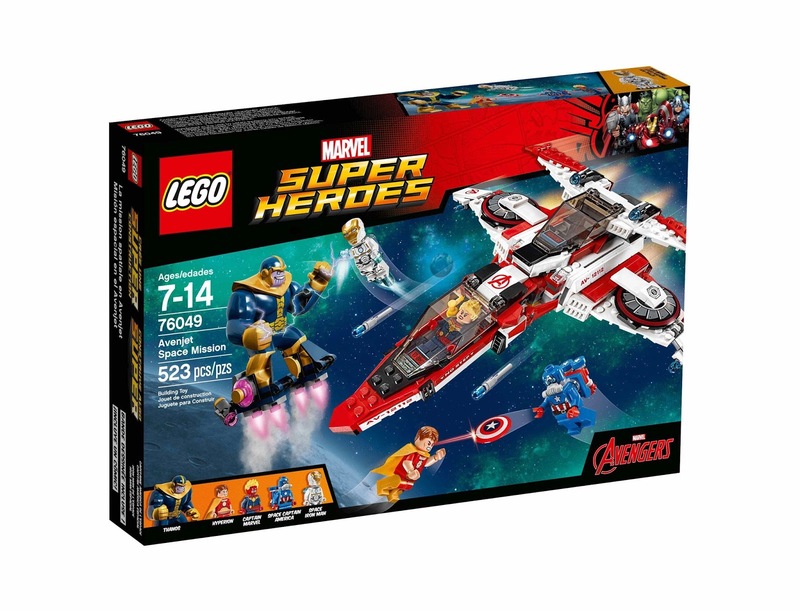 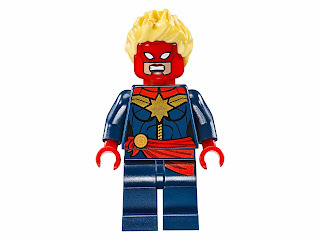 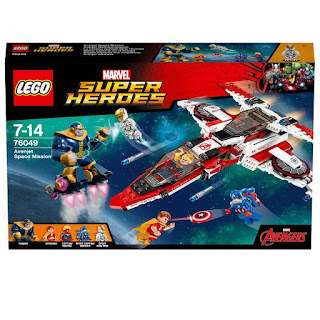 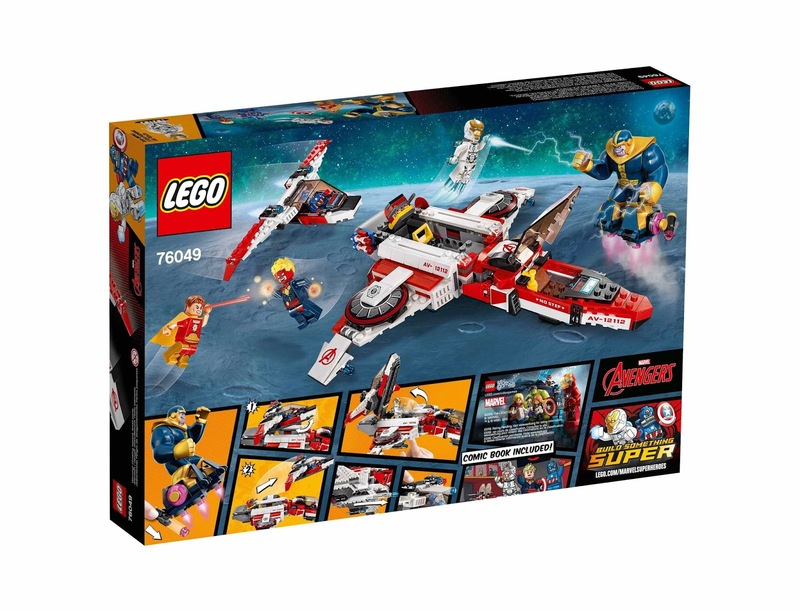 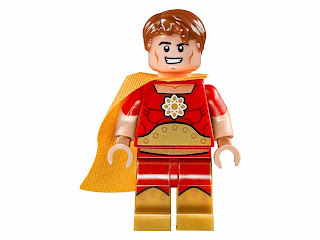 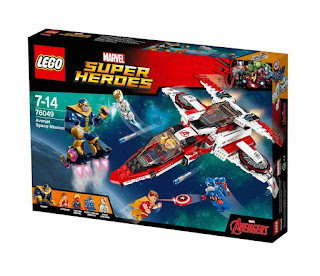 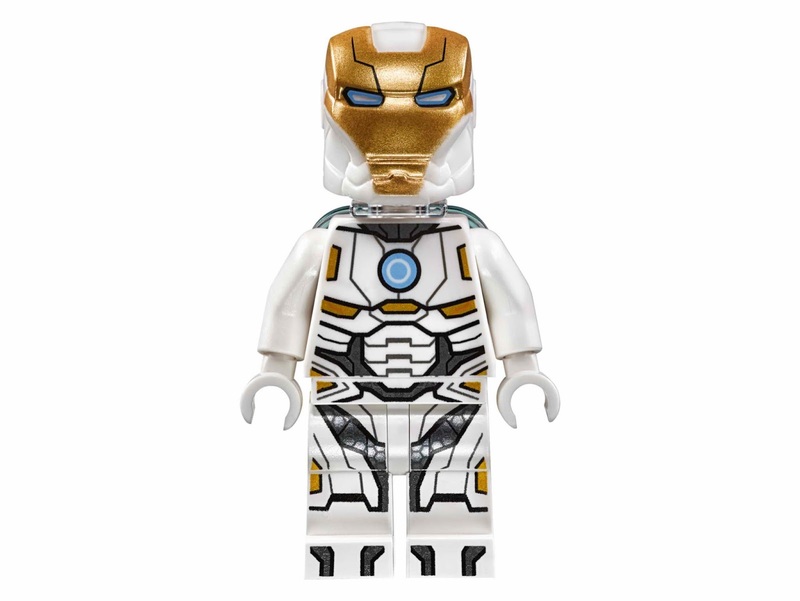 minifigs included a captain marvel minifig, a space iron man minifig, a space captain america minifig, a hyperion minifig and a thanos bigfig.